And I’ve finished The Splendid Children. I finished the initial draft and put the manuscript to rest on June 3, 2015. Between the rest periods and the flurries of active editing, it took almost exactly a year to have it ready to ship to an editor or agent. I reached that point just about midnight as June 1 became June 2, 2016. When I started running again in my mid -20s, I did not go far and I did not go fast. But every time I finished a run, I put my arms in the air as if I was breaking the tape at the Pru on President’s Day. Even if a two mile run is a joke to someone in actual shape, it was a big deal to me. In my head, I would cue the Rocky Theme, and sometimes whistle, hum or dah-dah-dah, dah-dah, dah-dah-dah-dah a few bars. Did it again last night. It means something to me that the famous scene of him at Philadelphia Museum of Art with his arms in the air celebrating is not marking his victory. It is marking him doing the work that gives him a shot at victory. That is how I feel about finishing the long, frustrating road of editing. The path of skiing up hill. There are two editors I want to explore in the hope that one of the two will take me on. One was described to me as brilliant by someone I consider brilliant, both as a writer, a thinker and a woman. The other had the grace to come to my local library to give a presentation on what to do once you have written a book. I really liked her, her knowledge, her patience and her candor. A fellow writer suggested against using “beta readers,” or handing the manuscript to thoughtful friends to ask what they think. It is a practice included in a non-trivial number of writing resources I’ve looked at over the last few months. My friend’s thinking is, roughly, that anyone who likes me enough to sit and read a manuscript and give detailed feedback probably likes me too much to give impartial feedback. Particularly about the problems. No one goes to the doctor to hear about the wrist that doesn’t hurt. And as much as I might crave it after having my mind in this book for 17 solid months, hearing about what works will be of limited value. I need to learn what doesn’t work. That said, there is still a debate in my mind about using beta readers for limited objectives. 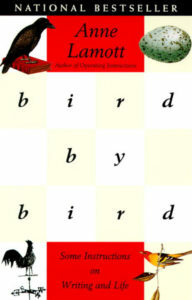 The characters share the legacy of a distinct type of trauma. The wife of my oldest friend is a clinician specializing in people who have experienced and/or inflicted that kind of trauma. So do I beg her to read it and tell me what she thinks? I’m Godfather to one of her sons. Will she really tell me if I’ve embarrassed myself? I was a beta reader for one of the guys in my wedding when he wrote a thinly veiled memoir of some college exploits. A frustrated fiction writer myself at that stage, I gave him several typed pages. It took hours and hours to do. It was, in hindsight, likely more useful for me than for him. That little epiphany, learned in the 1990s and cemented years later, is likely why The Splendid Children has precious little to do with me. Though it was at times very moving to write and even to re-read, the collection of events and cataclysms did not happen to me. If you write, dear reader, do you share? Do you read aloud to your spouse? Are you in a writer’s group? 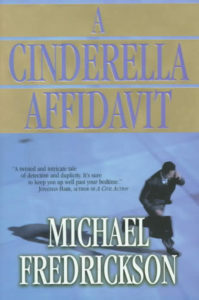 I had lunch with my old friend Mike Fredrickson, author of Cinderella Affidavit and other books, while I was writing. Mike had a writer’s group of two. He and a friend who was drafting a very different book got together for lunch from time to time to swap ideas and chapters. I had no one like that. Luckily, there is no right way and no wrong way to do this. There are no style points for the writing process. Or the editing process either. Tell me what works. Tell me what doesn’t. Public comments are awesome. Private emails are good too. I’d really just like to know. I’ve never actually thought of the Rocky Theme in that way, but you’re right. His was a celebration of having put in the work. And that is what separates the Champions from everyone else – celebrating the accomplishment of the work.